Vermont Soapstone, a small business in Perkinsville, Vermont, located at the base of Hawks Mountain with a mill and showroom. A metamorphic rock composed mainly of talc, soapstone is found all over the world and has unique qualities such as high heat retention and a long history as a carving material for various cultures. On a more personal note, I also know that carrying a 6-foot slab of soapstone up a staircase is extremely difficult, that soapstone looks best with an even coating of mineral oil, and that soapstone can be cut and sanded with wood-working tools. My Dad owns Vermont Soapstone, a small business that creates custom soapstone sinks and countertops, as well as the occasional fireplace, pizza oven or lately, small cubes of soapstone that are called “Whisky stones”. Due to the high amounts of metamorphism that Vermont has experienced throughout its geologic history, it makes sense that soapstone (as well as marble and granite) would be found throughout the state. 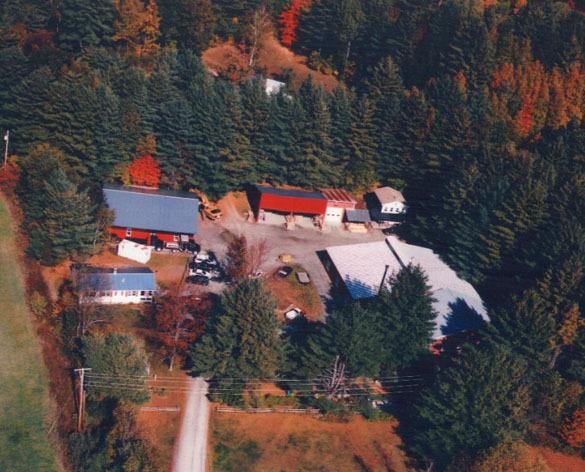 Perkinsville, Vermont, where Vermont Soapstone is based, is the original site of Hawks Mountain quarry, a soapstone quarry that opened in the 1850s. 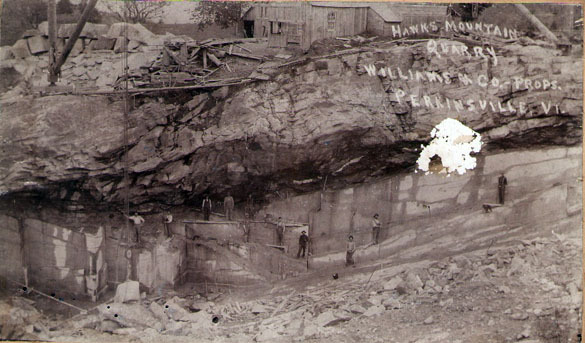 Hawks Mountain Quarry, circa 1875, (Unknown source). Quarrying technology was limited, and transport of the stone required a lot of ox-power. 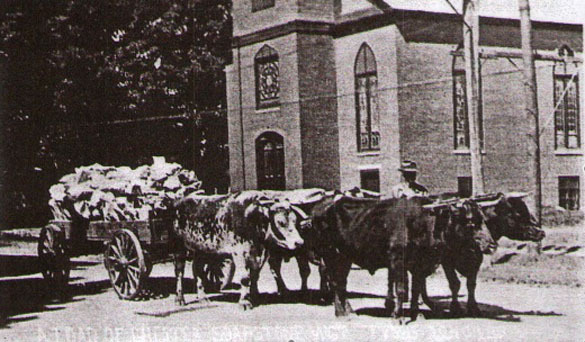 Oxen pull a cart full of soapstone through downtown Chester, Vermont (Clements and Robinson, 1996, p. 232). Back then soapstone was often used in wood stoves, as it still radiated heat long after the fire burnt out. Soapstone slabs were also used as griddles and often as feet warmers for long winter sleigh rides. Today, my Dad imports most of his stone from Brazil, and has visited the quarries to assess new sources of soapstone, as well as familiarize himself with the quality and character of the stone that’s coming out of each quarry. My first rock in my rock collection was a chunk of quartz tinged red from the Brazilian soil that my Dad brought me back from a trip. 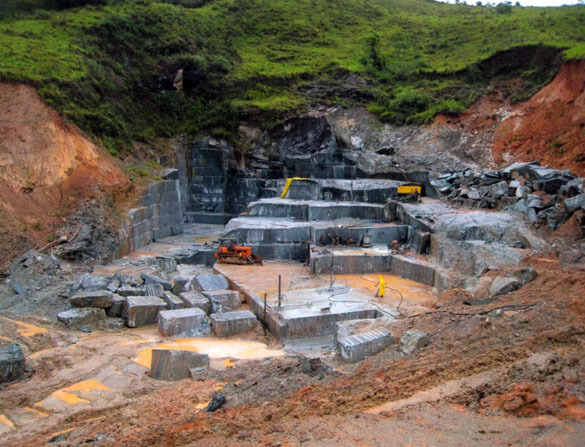 One of the quarries that my Dad visited on a trip to Brazil (Photo credit: Glenn Bowman). People always ask me why I’m a geology major, and I always respond “I took a great geology course in high school”, but I’m starting to think that with rock being the family business it was kind of unavoidable. When I go home on breaks, I often help my Dad with installations in people’s homes of sinks and countertops. Lately, though, my Dad has been busy working on a different project. Recently, a company called Teroforma has been working with Vermont Soapstone to create Whisky Stones, small soapstone “ice cubes”. The idea is that you can cool your beverage without diluting it- a simple idea but a great one. I recently talked to my Dad on the phone and he told me in preparation for the holiday season, they’re making Whisky Stones 24/7, and this is not a factory chugging them out- this is one guy, one table saw, and one cement mixer. I foresee myself doing a couple shifts while I’m home. See the video on this link (scroll down) for a great representation of my Santa-resembling, soapstone-cutting, hard-working Vermonter Dad. The Whisky Stones remind me of the small soapstone cubes he always carries in his pocket, worn almost to spheres with the constant jostling against change and keys. He always left them under my pillow (do other little kids know about the rock fairy?) when he would go away for long install trips; when I went off to Wooster he gave me a whole pile of them. They’re right in the middle of my rock collection, reminding me of home. Very cool! Awesome video too! I’m hoping this post is seen by Lindsey Bowman. I think I/we have a link to the soapstone quarry in Perkinsville. I think this may be a piece of property that my sister own ,at one time. She later sold it to Clyde Barton. I would be interest in the timeline of the quarry.